A delicate hemstitch frames the signature sateen sheeting for an effect that is luminous and sophisticated, though never stuffy. 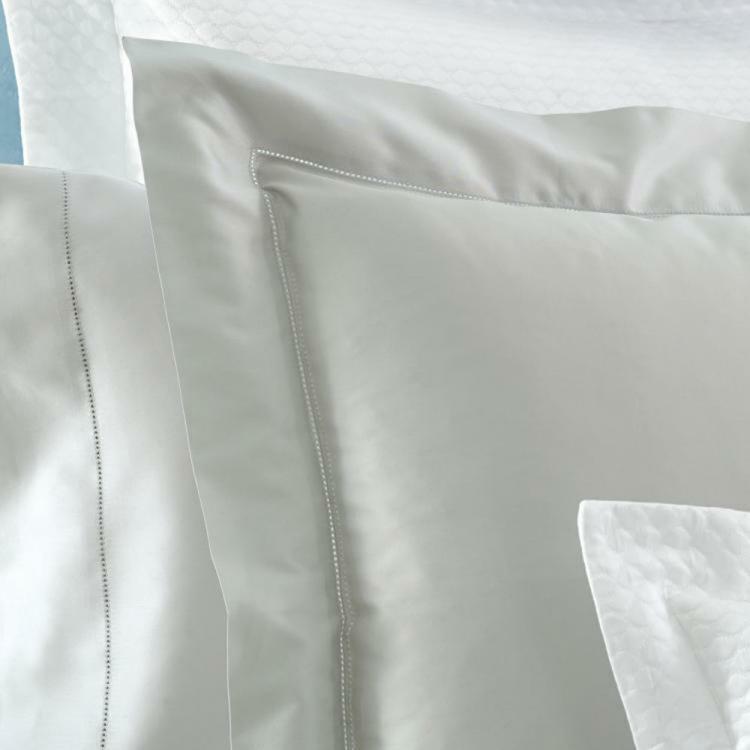 Available in a select palette of classic neutral colors and made of 600 thread count Egyptian cotton woven in Italy. 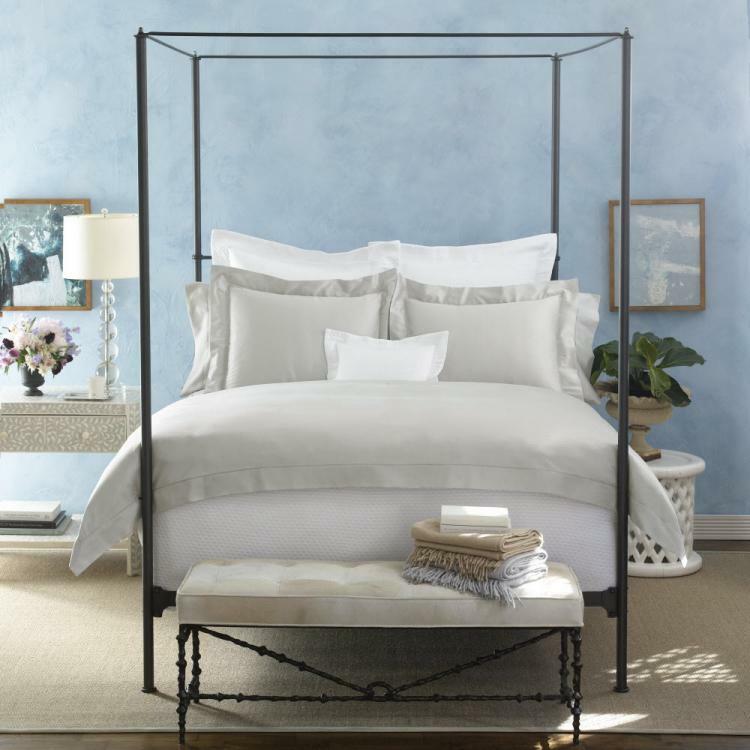 This subtle elegance gently transforms your room of choice into a beautiful retreat. Monogram your duvet cover and shams for the perfect finishing touch, add a monogram to your flat sheet for the final touch of elegance. Choose your items you would like for the bedding- choose the color of the bedding, add the tape or thread color for the monogram (remember tape is used for appliques), finally choose your font choice and add you letters in for the monogram.Need help give us a call 864-271-3587.